So since returning from Costa Blanca where I was climbing 7a on sight. I have continue to mix it up between trad and sport. 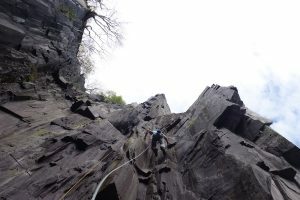 Climbing many routes around the E3/4 mark on different rock type and also some sport climbs on the slate and Limestone. Whilst I managed to flash a 7a on the Limestone when I nipped up Quicksilver as well as leading an E4 or two plus some 6c+s. As such I feel the fitness remains and have managed to switch back between trade and sport really easily. 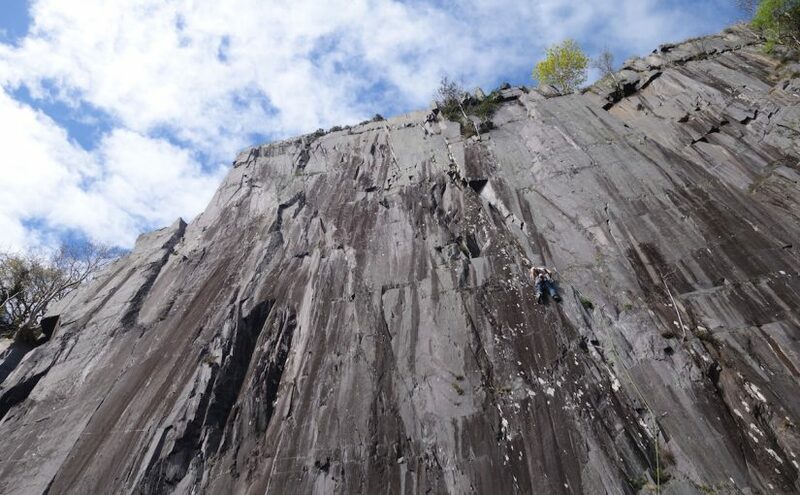 On the Slate I managed one day to onsight a 7a+ and then do the the amazing route Cig-Arete on my third go and my first proper redpoint attempt. This has been followed up with a play on Child’d Play a 7b+, where I got the moves, so need to go back and link it. I also onsighted the amazing Great Balls of Fire, E4 on Colossus wall. It has been a good few months since I got back and mingled in-between this has been some great and varied work. 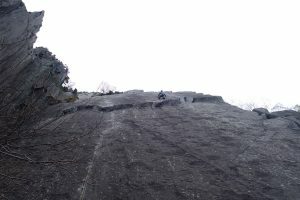 About to follow Si Lake up Belldance, E5 6b on the Dervish slab. I took the lob from just below where he is on this route! Next Next post: Meeting a Legend….